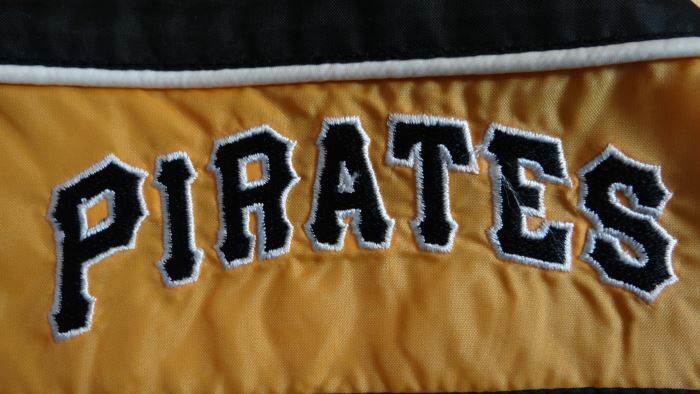 This Pittsburgh Pirates Nylon Dog Coat XXS Size With “Pirates” Name Logo is a Bark Avenue Dog Boutique Original. 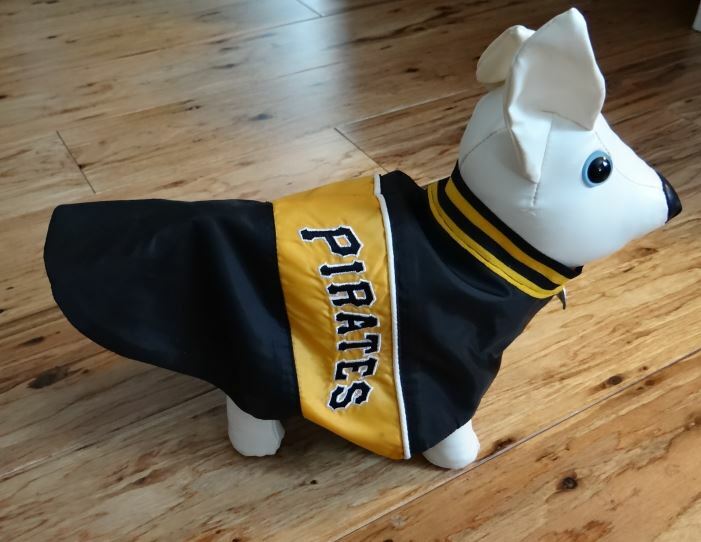 It was designed for the Pittsburgh Pirates canine fan who loves the game of baseball and wants to dress in style during game season. 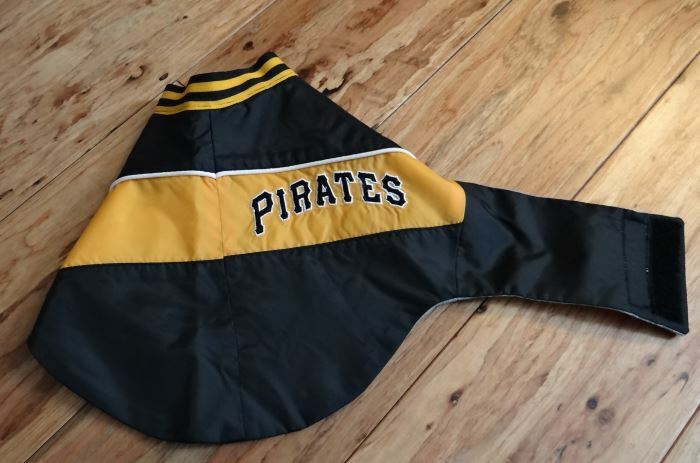 This unique jacket is a quality piece, designed by Bark Avenue by using a humans Pirates jacket. This is a one of a kind jacket for your pet. It is an original and you will never see another one like it. Made of black and gold nylon fabric with white nylon piping across the shoulders. 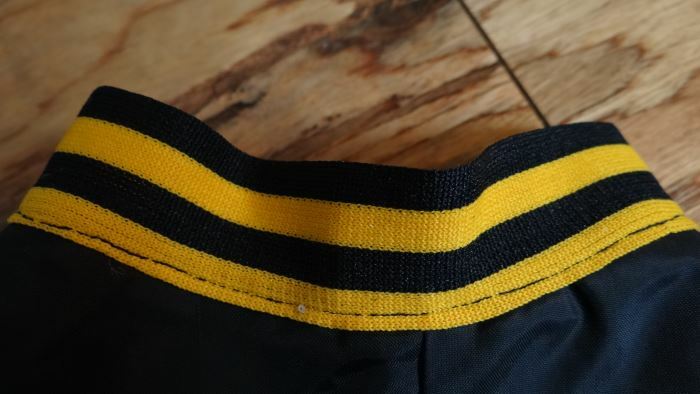 There is a black and gold stripe 1” elastic band finishing the opening of the neck. 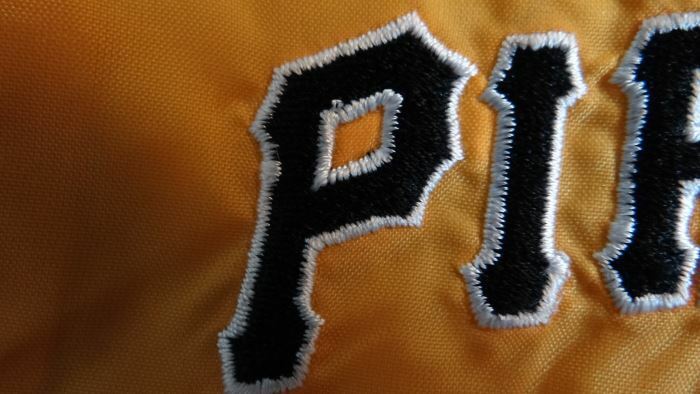 “PIRATES” is machine stitched across the back of the jacket. The jacket is fully lined with a grey jersey fabric. 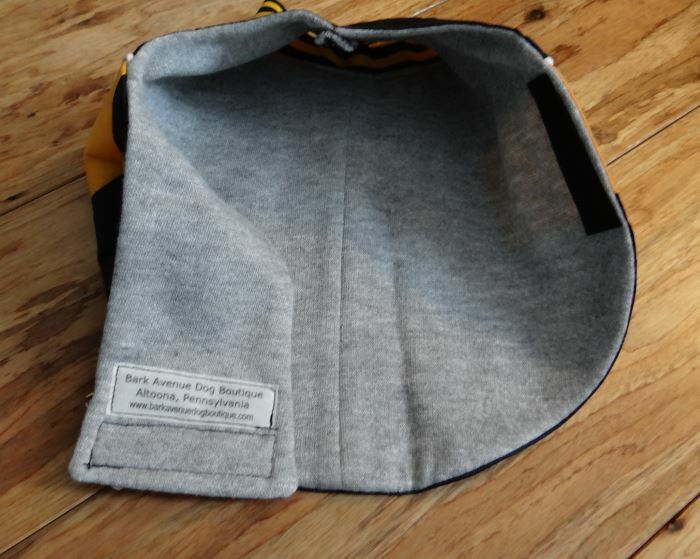 The Bark Avenue Dog Boutique label is stitched inside of the jacket. 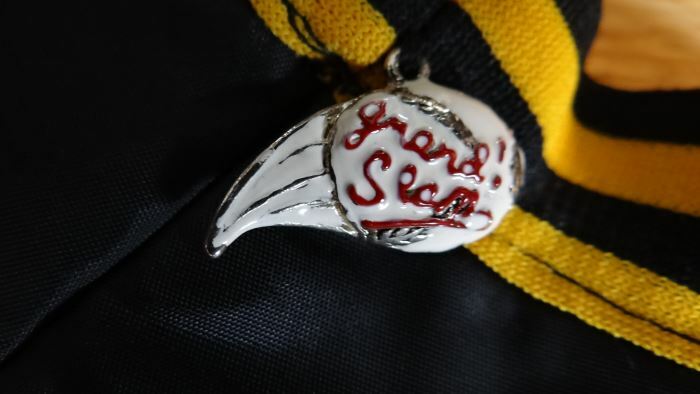 There is a baseball themed painted metal charm at the front neck. The jacket slips over your puppy’s head and velcros under the tummy. The jacket measures 9” around the neck, 9” from the back of the neck to the edge of the jacket and 15” around the tummy. Machine wash and tumble dry low heat.